ChargePoint Services and Motor Fuel Group (MFG) are rolling out rapid chargers across the GeniePoint Network and expect to have 200 by the end of 2018. 14 new tri-connector rapid chargers have already been installed at MFG forecourts – who operate 439 forecourts across the UK – with driver usage on the rise, the company said. A further 20 are being installed this January, followed by 25 due in February and a total of 60 expected by the end of Q1 2018. 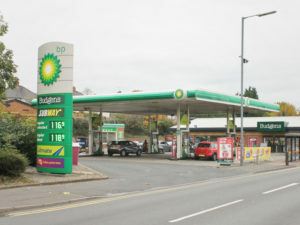 The companies say their partnership will provide the largest non-motorway rapid charger facility in the country, above the recently rolled out Shell Recharge scheme and Chargemaster’s Polar network, which recently introduced multi-user accounts for fleets. The new rapid chargers are connected to ChargePoint Services’ GeniePoint Network, which aims to ensure they are each monitored for maximum uptime. Previous: Curtis Hutchinson: Service with a smile?